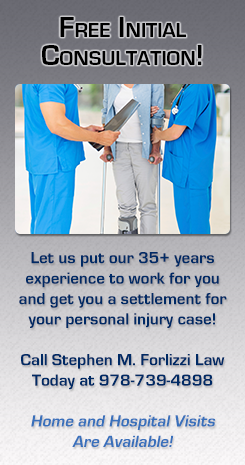 Stephen M. Forlizzi-A lawyer in Danvers, Massachusetts who will fight for you. Since 1995, Attorney Stephen M. Forlizzi has been providing legal services for residents in Danvers, MA. He specializes in personal injury, car accidents, dog bites and more! 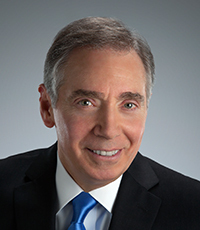 With over 30 years of experience, Attorney Forlizzi prides himself on the excellent service he has provided his clients with over the years. Attorney Forlizzi is certified and trained with the highest standards to handle any personal injury cases you may be involved in. Whether it's a car accident or an on the job accident, Attorney Forlizzi will ensure you receive the compensation that you deserve. He will work one-on-one and explain each step of the process with you. To learn more about the legal services offered or to schedule a free consultation, contact Attorney Stephen M. Forlizzi today. He can be reached by calling 978-739-4898 or by filling out the online contact form.